C T Mitchell was born in Cairns but now lives in Brisbane Australia. He trained as an accountant and put his knowledge firstly into being a share broker during the mining boom of the roaring 1980’s before venturing off to the grey side of real estate sales. For a brief four year stretch he slipped into the dark side of car sales before seeing the light and returning to real estate and finance. 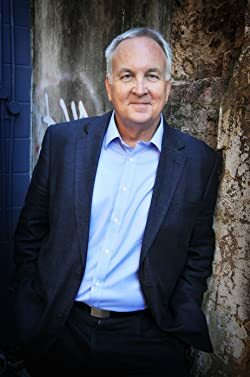 He writes the Cabarita Crimes series books featuring Australian Detective Jack Creed – a detective from the school of hard knocks where protocol is not a priority in his ‘get the crime solved at any cost’ demeanour. The first short story in the series, REJECTION, sees Jack Creed up against a sick, demented Nicholas Weatherby who plans to carry out Australia’s first mass University shooting. Rejection, like other novellas in the series, have been best sellers in their categories on Amazon, particularly in the US, UK and Australia. “Murder on the Beach” – #1 Amazon UK #1 Amazon US. C T lives with his wife and four nearby adult children; splitting their time between Brisbane and Cabarita Beach, NSW, Australia. Please enter your email address and click the Follow button to follow C T Mitchell!